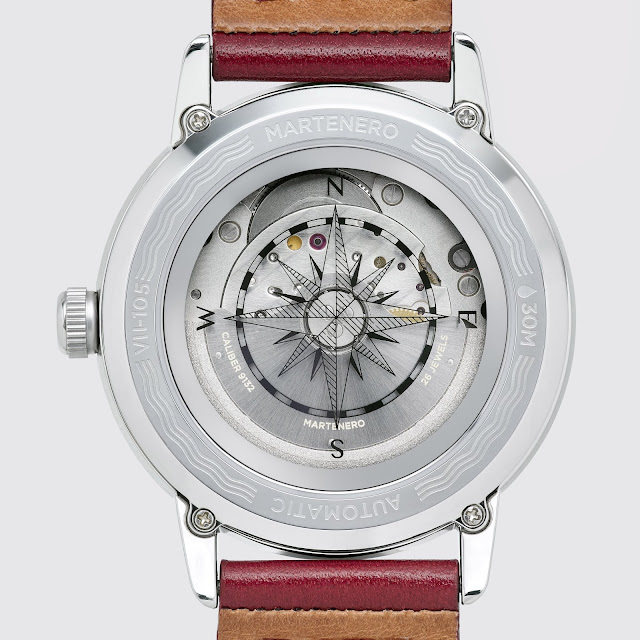 On September 20, Martenero launched the Edgemere Reserve Kickstarter Campaign. They blew past their initial goal on day one and for good reason. 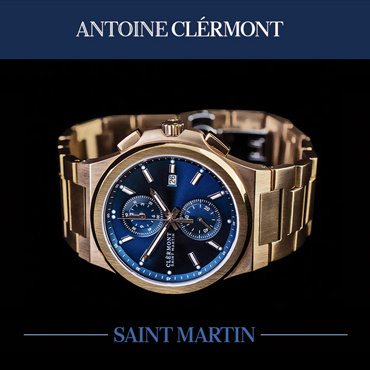 The Edgemere Reserve is a modestly priced, high-value watch with a refreshingly light-hearted color scheme. 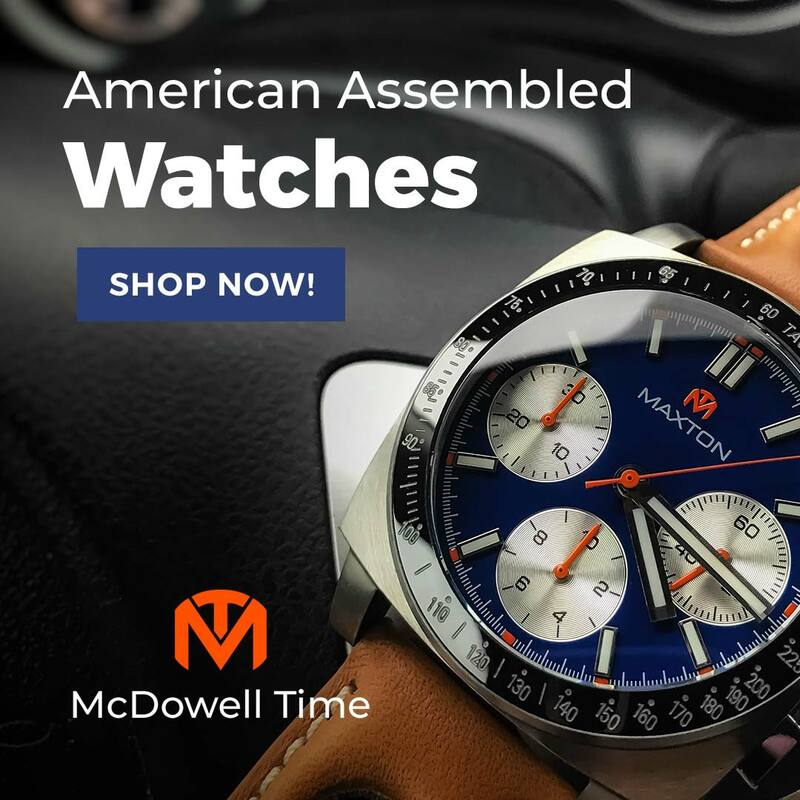 The watch features a Miyota 9132 automatic. Like others in the 9xxx series, it hacks, handwinds, and moves at a smooth 28.8k bph, but adds a 6 o’clock 24-hour sundial and a 12 o’clock needle to display its 40-hour power reserve. You can view its workings through the exhibition case back. The display window is sapphire, just like the crystal up front, and it is decorated with an engraved compass design. Like the original Edgemere, the new model is a modern take on the traditional marine chronometer design. 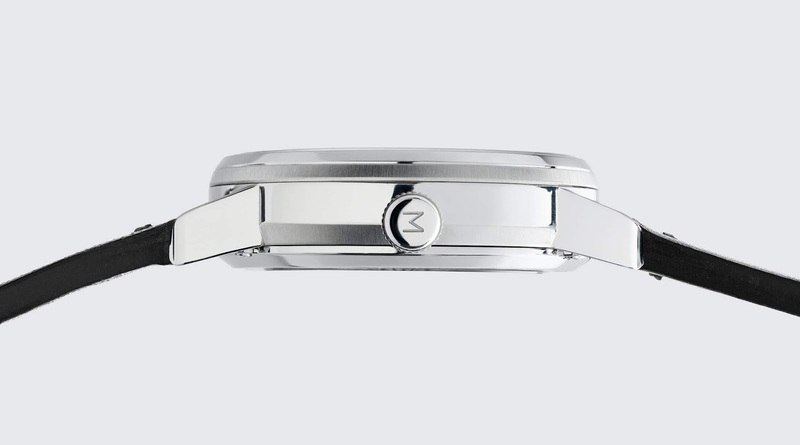 The round 40 mm case is brushed with a polished bezel, upper surface, crown. Overall length is just 47 mm, which should be a comfortable fit on most wrists, even smaller ones like my own. Its 11.8mm thickness should allow it to slip easily under a buttoned shirt cuff. 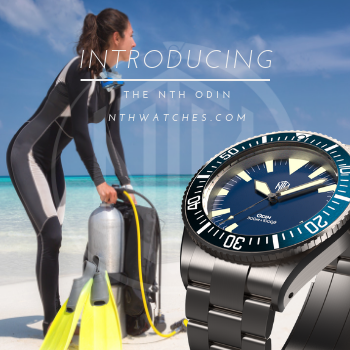 This is a good thing because although the Edgemere has a nautical bend, its 30m water resistance rating tells me it is not a wet environment tool watch. On the other hand, it is not quite a dress watch either. It’s too much fun for that. The dial is comprised of three layers: a “deck” textured base, raised hour ring with a railroad track index, and applied radially oriented hour markers. While the added dimension is pleasing, its the color that really makes it special. Anyone can do a white dial and blue hands, or a white-on-black dial. We’ve all got some variation on those in our collections. I suspect that is why Martenero whipped out the Pantone palette and went to town. White with blue? Why not dab some red on those hands and give the minute hand a blue leaf-shaped tip? 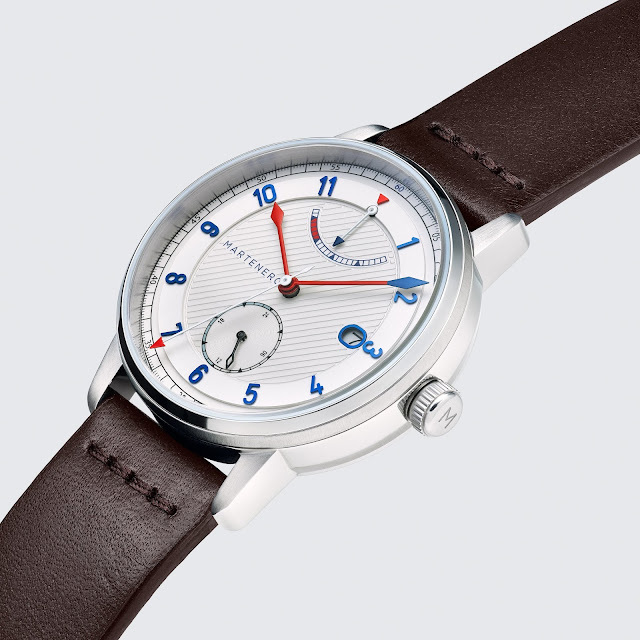 The blue and red is repeated in the reserve meter, the numerals, and the raised oval frame around the date window. 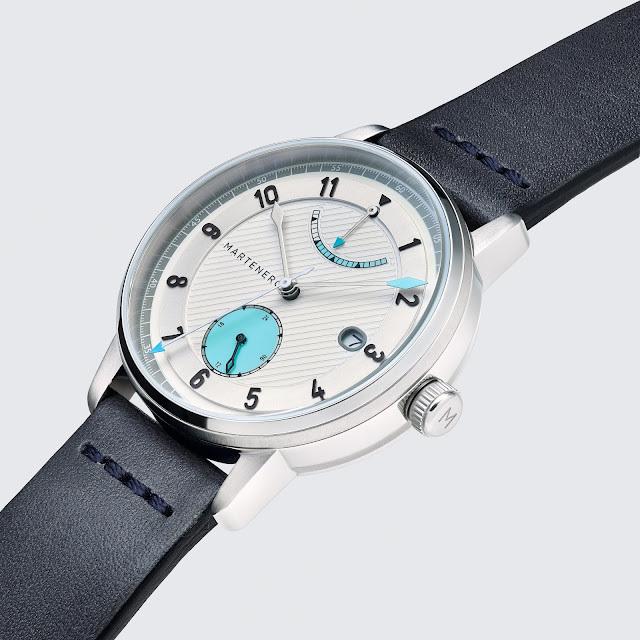 Bursts of turquoise enliven the usually staid silver and black dials. 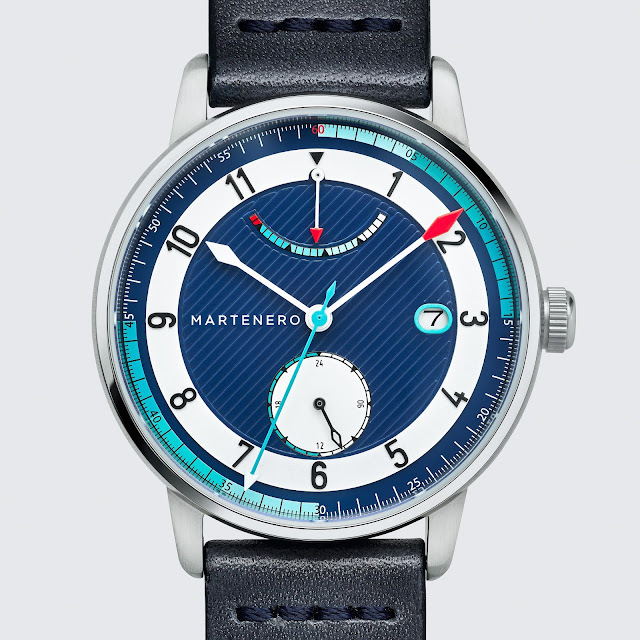 The remaining models incorporate blue or white dials with contrasting hour rings, and red, blue, and turquoise features. They are absolutely delightful. Of course, you can enjoy the same aesthetic on the original Edgemere three-hand, but I like the addition of the power reserve meter. It makes this already special watch that much more intriguing. 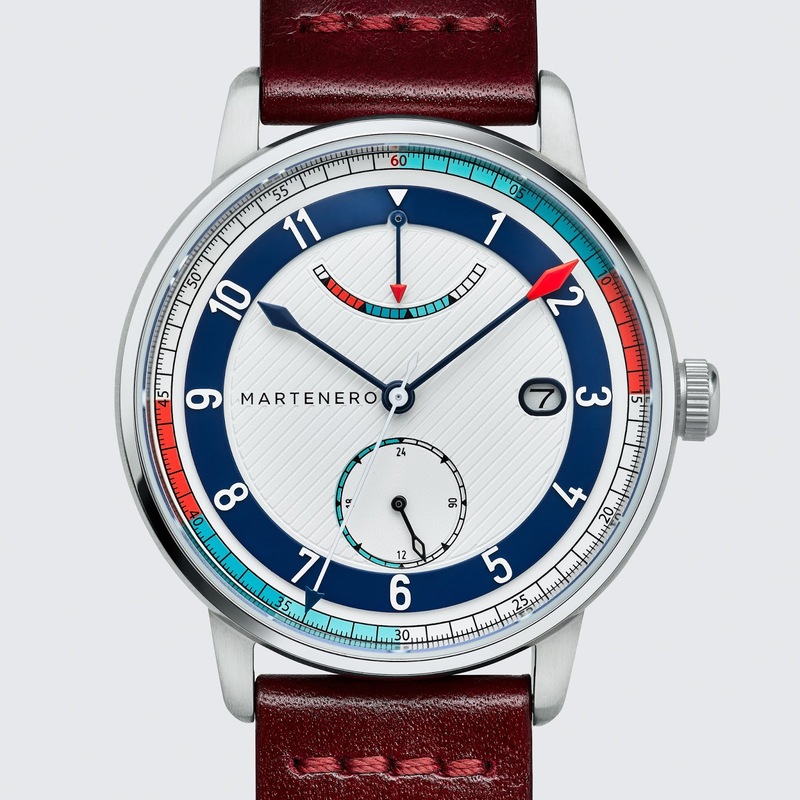 Given the whimsical dials, Matrenero wisely went conservative on the straps. They are 20mm wide and solid color leather with a matching, straight stitch across the top. They are neither padded nor tapered and while you have a wide range of color from which to choose, they are mostly variations of black, brown, or gray. 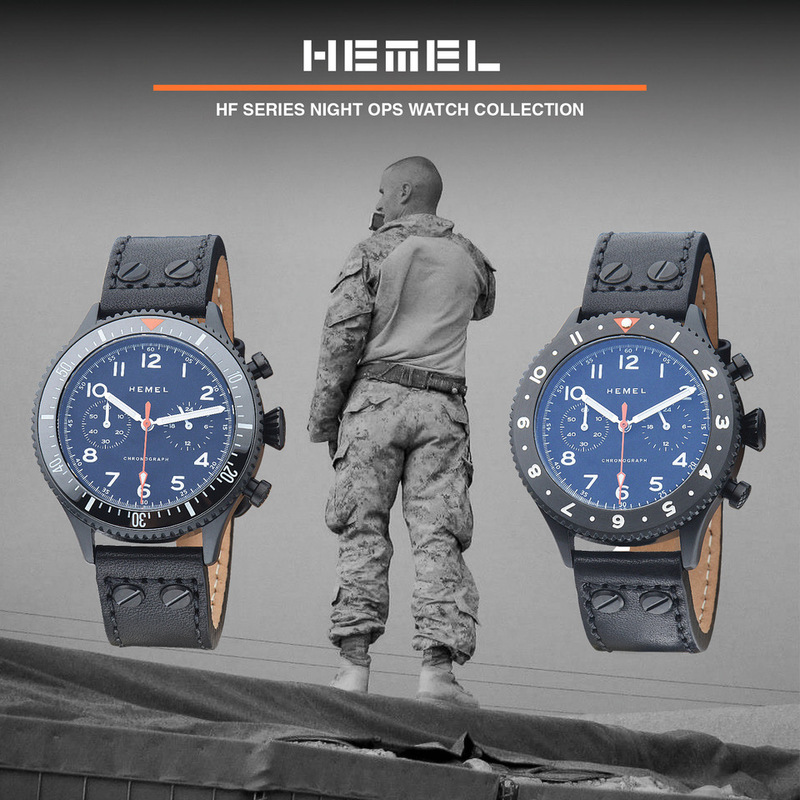 They keep the watch grounded, although if you want to go all out, I’d suggest the ruby red. The Edgemere Reserve early bird rewards are long gone, but you can still snap one up for as low as $459, a significant saving on the $695 retail price. I love this watch. 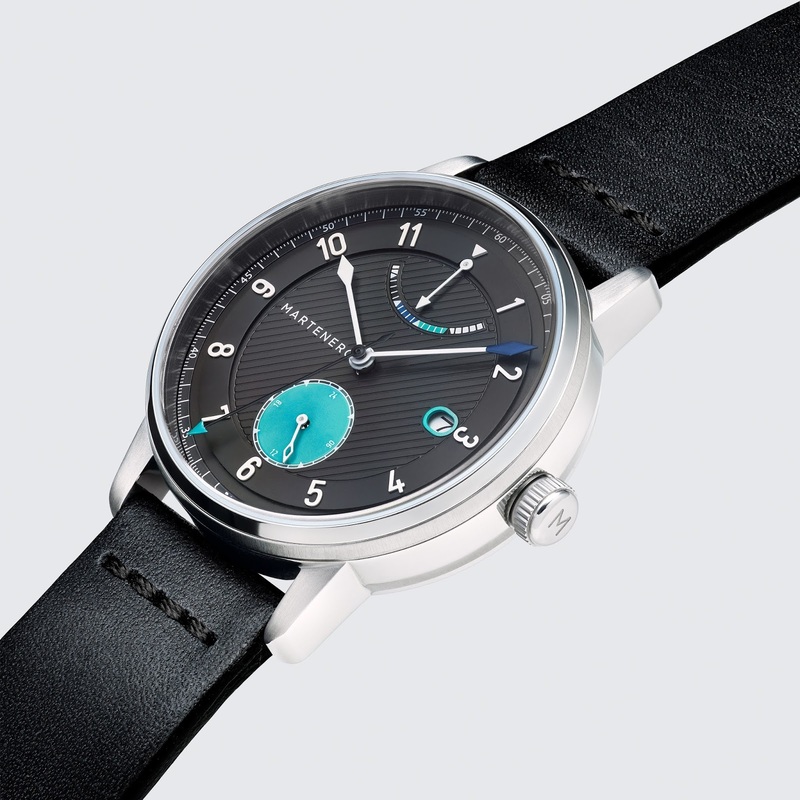 It is the horological equivalent of a Vampire Weekend song: technically complex, irresistibly buoyant, and infused with just a dash of jaunty, preppy sensibility.